The man who fought for the Lokpal: Anna Hazare. A sitting or retired Chief Justice of India, any serving or retired justice of the Supreme Court or any person of impeccable integrity with at least 25 years of experience in issues relating to anti-corruption policy, public administration, vigilance, finance and law and management will be eligible to become Chairman, Lokpal. As the hunt has finally begun for the job of ombudsman after much delay just ahead of the Lok Sabha elections, the eligibility criteria has been put out by a search committee for Lokpal headed by Justice Ranjana Prakash Desai. For the judicial member of the Lokpal, the applicant can either be a present or former justice of the Supreme Court or current or past Chief Justice of any High Court. The non-judicial member could be anyone with 25 years of experience in anti-corruption related fields. The eligibility has been fixed as per the Lokpal Act. The applicant for the Chairperson cannot be an elected representative or anyone carrying any business or practising any profession. The candidate should also not be holding any office of trust or profit. The tenure for Chairman will be five years and the salary will be equivalent to that of the Chief Justice of India. After becoming Chairperson, no further employment will be allowed as a diplomat. The incumbent will not be allowed to hold any office of profit of the government. The Chairperson will also be barred from contesting elections to Parliament or state Assemblies for five years after relinquishing the post. The minimum age criteria is 45 years. 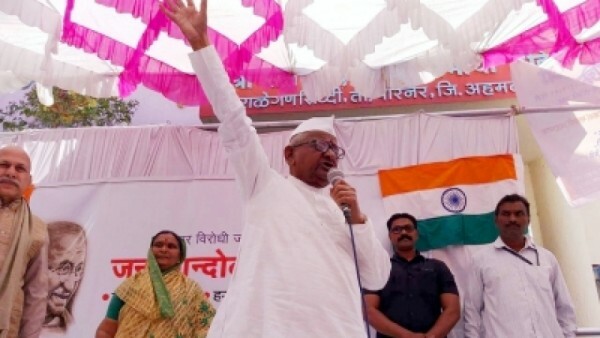 The advertisement for Lokpal was issued after anti-corruption activist Anna Hazare had threatened to launch another round of agitation protesting against the delay. He was persuaded to call off the stir on the promise that Lokpal would be formed soon. The applications have been invited just ahead of the Lok Sabha elections amidst much criticism. The nine-member Lokpal search panel had its first meeting in January, nearly four months after it was formed.